A comedian with a popular anti-corruption message but no political experience took the lead in the first round of Ukraine’s presidential election yesterday, according to exit polls. 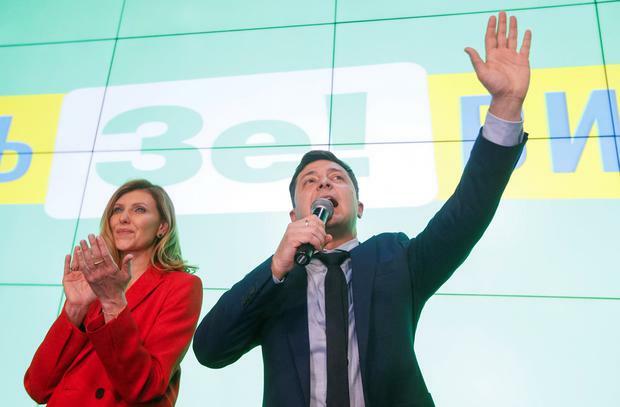 Volodymyr Zelenskiy (41), who plays a fictional president in a TV show, had consistently led opinion polls in a three-horse race against incumbent Petro Poroshenko and former prime minister Yulia Tymoshenko. One exit poll showed Mr Zelenskiy had secured 30.4pc of votes, compared to Mr Poroshenko’s 17.8pc. At stake is the leadership of a country on the front line of the West’s stand-off with Russia after the 2014 Maidan street protests ejected Mr Poroshenko’s Kremlin-friendly predecessor and Russia annexed the Crimean peninsula. No candidate is expected to receive more than half the votes, meaning the election would go to a run-off on April 21. Out of a crowded field of 39 candidates, none of the likely winners wants to move Ukraine back into Russia’s orbit. In keeping with the relaxed style of his campaign, Mr Zelenskiy’s election night venue provided a bar with free booze, table football and table tennis games. Mr Poroshenko called the result a “severe lesson”, especially from younger voters and appealed for their support in the second round. “You see changes in the country, but want them to be quicker, deeper and of higher quality. I have understood the motives behind your protest,” he said after the exit poll. Mr Poroshenko, who said the elections had been fair and in line with international standards, sought to portray Mr Zelenskiy as unfit to represent Ukraine abroad, especially in taking on Russian President Vladimir Putin in international talks. The election was shadowed by allegations of widespread vote-buying. Police said they had received more than 2.100 complaints of violations on voting day alone in addition to hundreds of earlier voting fraud claims, including bribery attempts and removing ballots from polling places. Ms Tymoshenko, who had won 14.2pc of the votes, immediately challenged the accuracy of the result, saying her internal polling put her in second place behind Mr Zelenskiy. She warned she might contest the final result. Mr Poroshenko has fought to integrate the country with the EU and Nato, while strengthening the military which is fighting Kremlin-backed separatists in the east of the country. 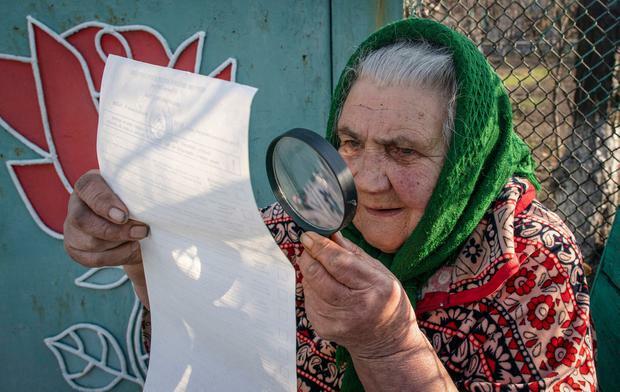 Voting around the country offered a snapshot of Ukraine’s recent history. Soldiers lined up to vote in makeshift polling stations in the east. Voters formed long lines outside polling stations in neighbouring EU member Poland, where between one and two million Ukrainians have moved, many in search of jobs and higher wages. Pushing the use of the Ukrainian language and instrumental in establishing a new independent Orthodox church, confectionery magnate Mr Poroshenko (53) has cast himself as the man to prevent Ukraine again becoming a Russian vassal state. But reforms crucial to keep foreign aid flowing have been patchy. Conflict in the eastern Donbass region has killed 13,000 people in five years and rumbles on despite Mr Poroshenko’s promise to end it within weeks. Frustration over low living standards and pervasive corruption has left the door open for Mr Zelenskiy. Mr Zelenskiy has tapped into this anti-establishment mood, though his inexperience makes Western officials and foreign investors wary and sceptics question his fitness to be a wartime commander-in-chief. Inviting comparisons with US President Donald Trump and Italy’s Five-Star movement, his campaign has relied heavily on social media and comedy gigs of jokes, sketches and song-and-dance routines that poke fun at his political rivals.